Occasionally one would appear nearby. 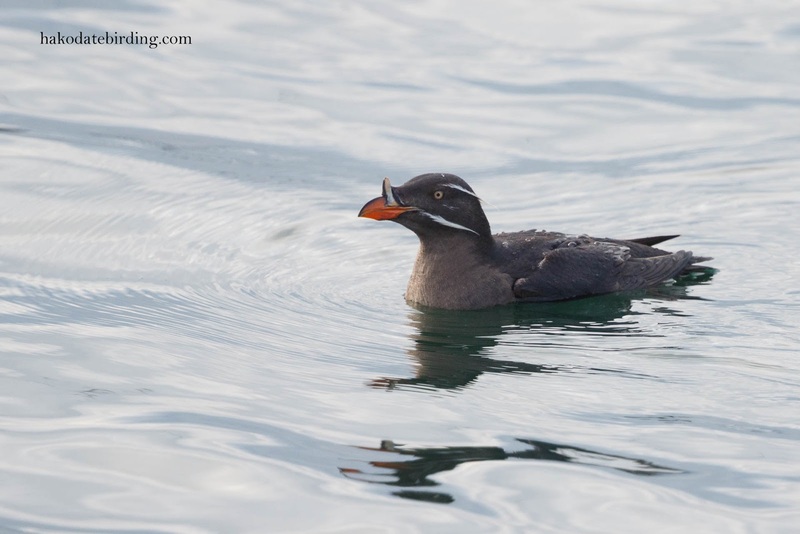 I will be returning to Vancouver Island next April and look forward to seeing Rhinoceros Auklets there. 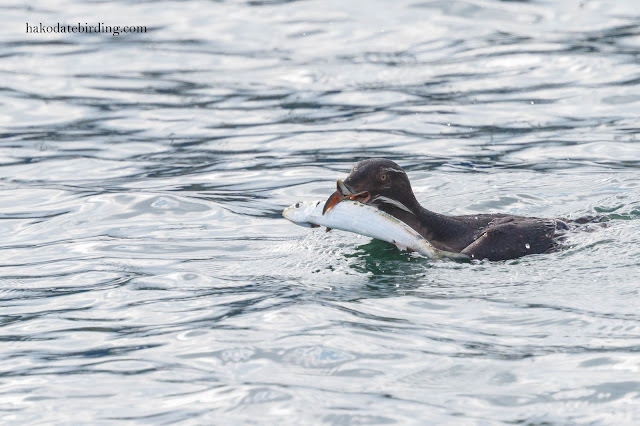 That is a good-sized fish the bird has caught. 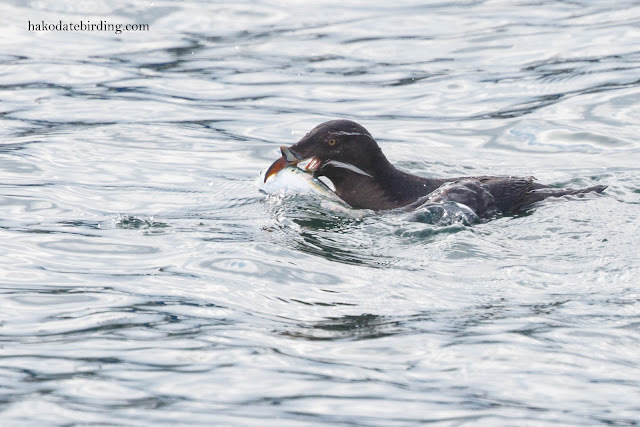 It always amazes me just what they can swallow. 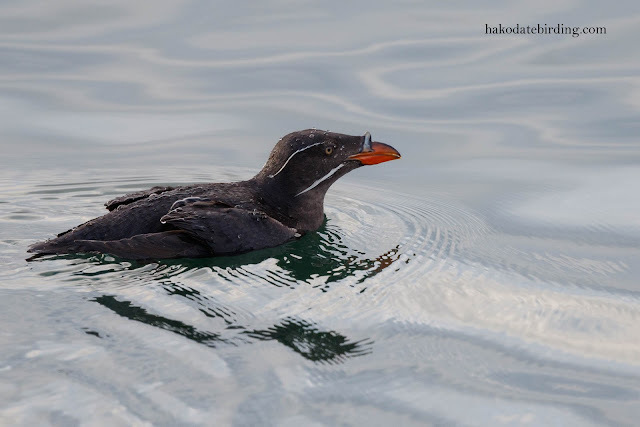 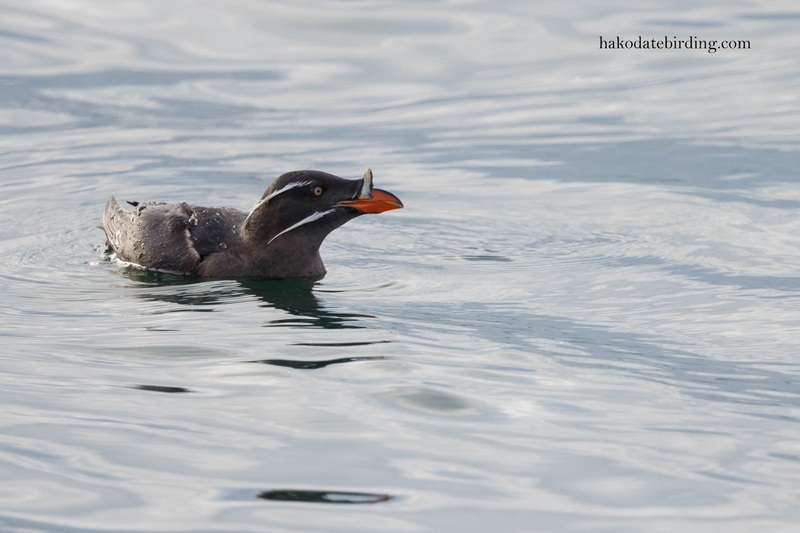 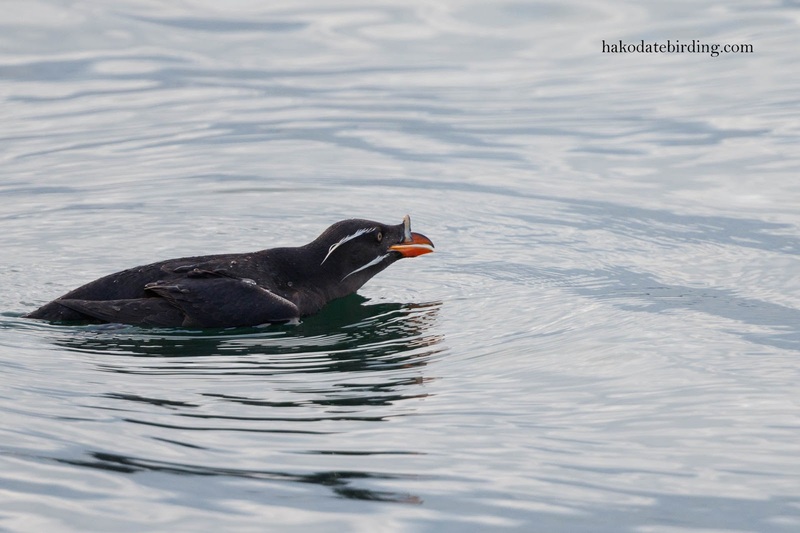 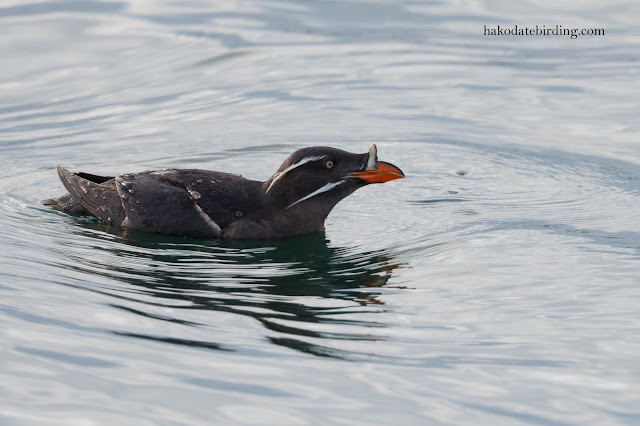 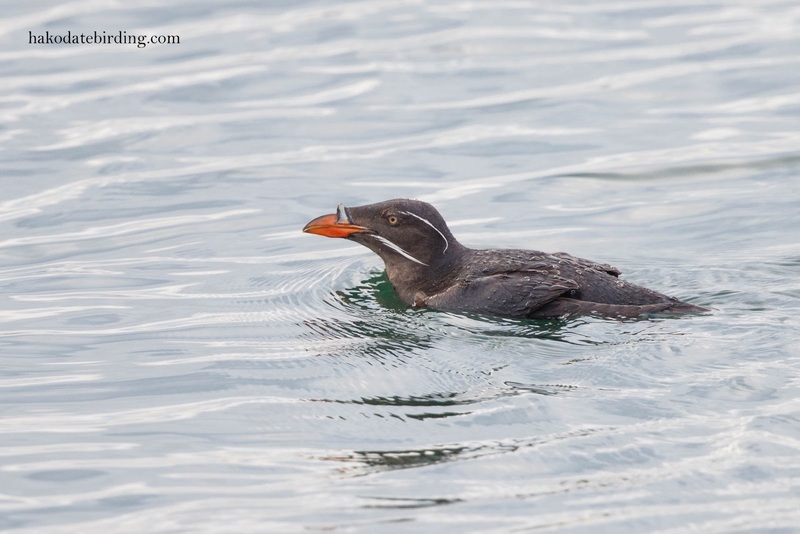 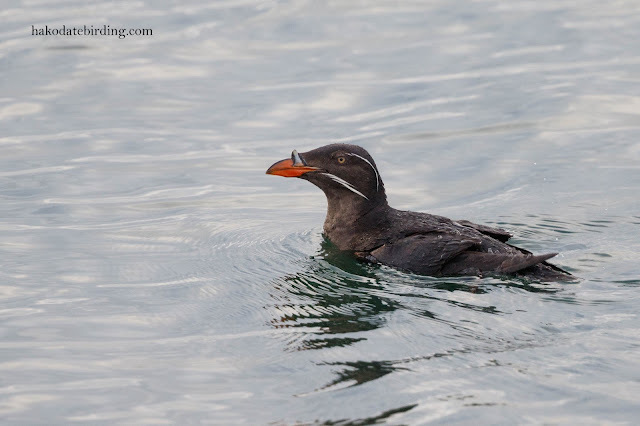 Awesome Pictures of the Rhinoceros Auklets Stuart. 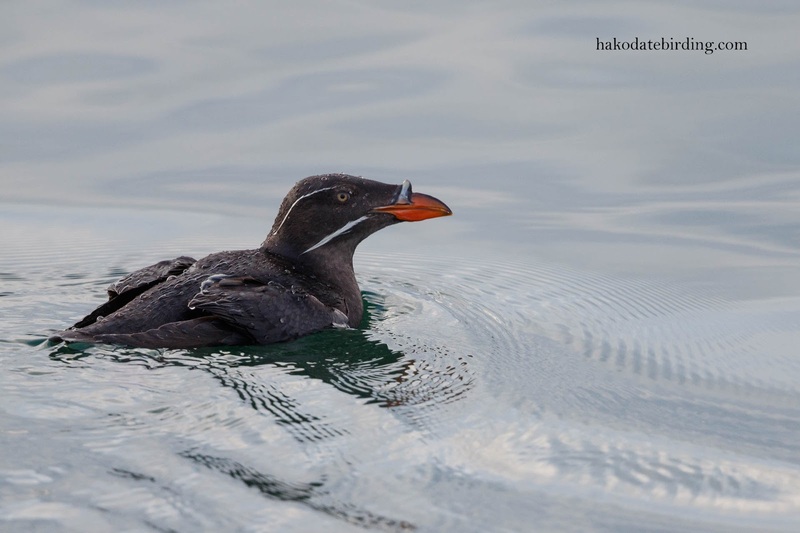 Last weekend I went to Teuri Island where they breed in thousands but the trip was rained out and I returned without any decent pictures. I should have come down to Hakodate instead. Very jealous of these....what great birds !